Designed for diving in 1953, the Rolex Oyster Perpetual Submariner is supremely classic. The first watch to have a depth rating of 330 feet, or 100 meters, the company clearly set the bar with this model. 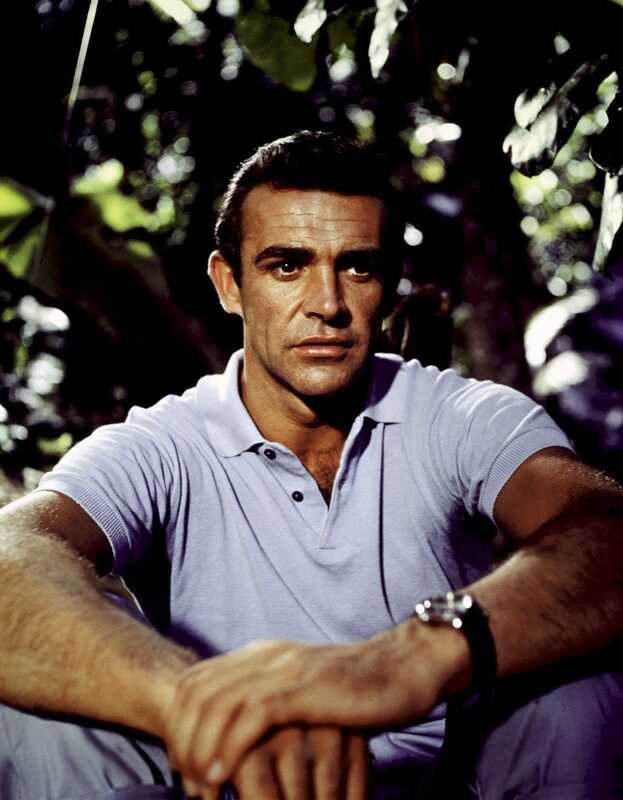 Dr. No has been seen wearing a Vintage Rolex Submariner in James Bond. Shortly after its introduction, Ref. No. 6536, produced for just one year in 1955, has become a serious contender as one of the most studied vintage pieces in the series and was reportedly a transitional model for Rolex. Not to be confused with Ref. No. 6536/1, the 6536 was crafted with a different gasket, crystal, case and small crown. 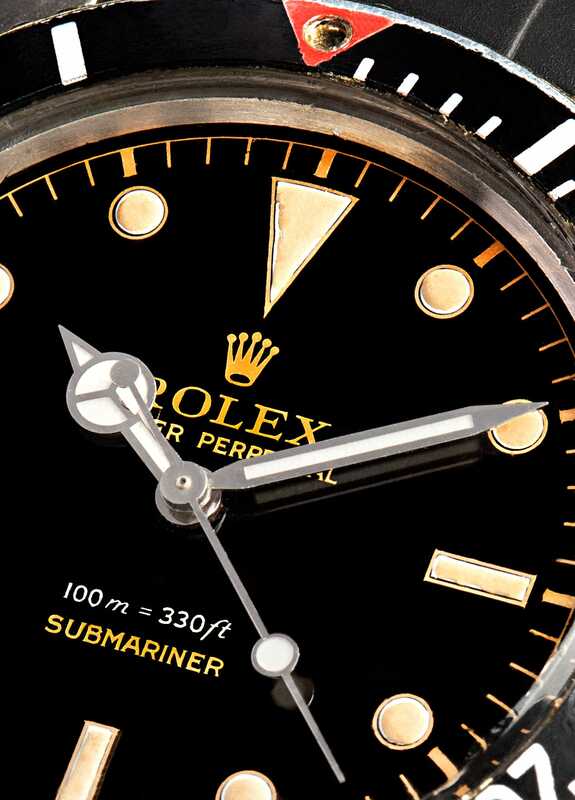 There were scarcely 100 of these particular models produced, and it is one of the Submariners with no crown guard—otherwise known as “no crown guard Submariners.” The line of 6200 Submariners also began featuring the Mercedes hand set, though not the first Rolex to encompass this trait. 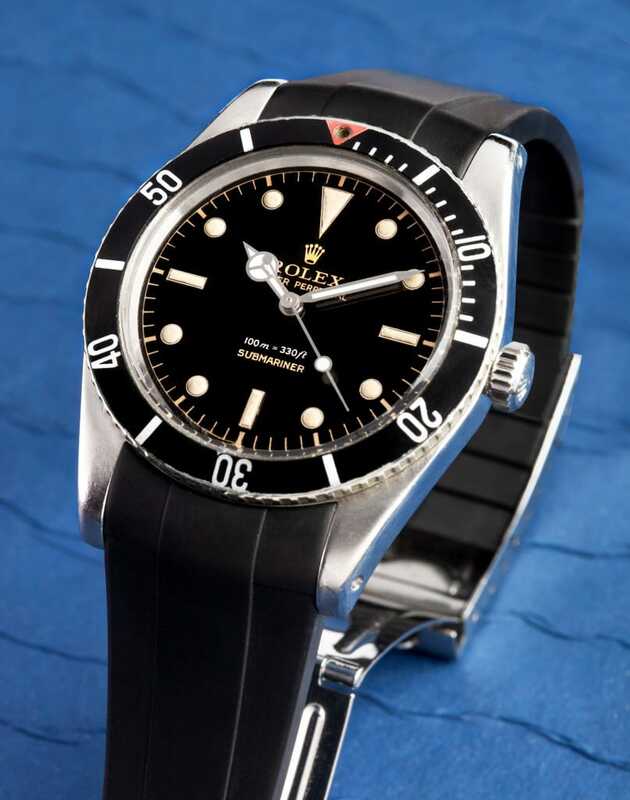 It’s also interesting to note that when the Rolex Submariner 6536 enters the discussion, it usually brings with it Ref. No. 6536/1. This model was introduced in 1955 and ended in 1959 and along with its predecessor, hosts a small crown (6mm). When surmising these two specific models, collectors often debate whether or not either model included a chronometer movement. You can view the more modern models on our website as a comparison. 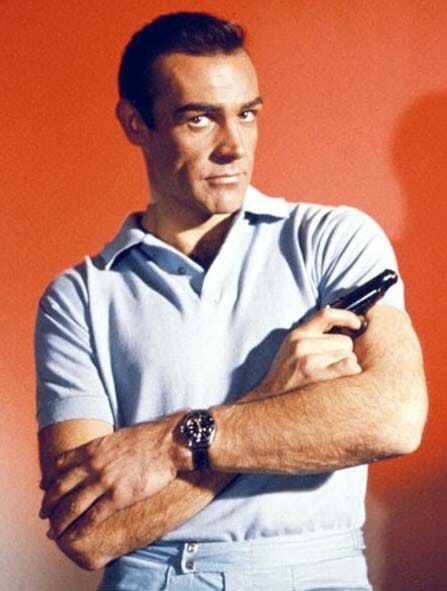 Sean Connery wearing Rolex Submariner Watch. But what actually happened tops all of the literary criticism to Fleming and his name dropping: When filming “Dr. No,” the budget did not allow the team to purchase an actual Rolex for 007 and, probably because advertising in films wasn’t what it is today (read: Daniel Craig sipping on Heinekens), Rolex was not willing to provide one. So one of the film’s producers, Albert “Cubby” Broccoli, took the Submariner from his wrist and handed it to Sean Connery. What does all of this have to do with the 6536? Many believe the 6536/1 is the watch Connery wore in “Dr. No” (and as we said, the 6536 and 6536/1 are often discussed together), but in fact it was a 6538, which was crafted with a big crown (8mm).